← Quiche- featuring Spinach and Gorgonzola. Chocolate and chilli. All the rage with food fashionistas, a combination which, at first glance seems a teeny bit ridiculous (why taint something as perfect as chocolate with something as aggressive as chilli?) but, once the surface has been scratched this is a wow flavour pairing that seems so natural one wonders why everyone isn’t doing it. All the time. 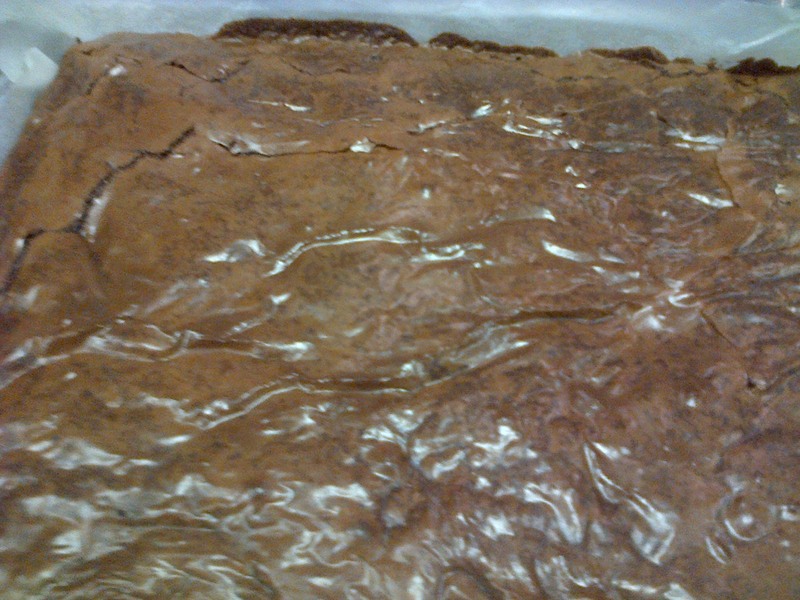 Chocolate brownies are a product of my dreams. An American export worth keeping. My lust for these ungodly specimens aroused by my American exchange Year 7 maths teacher Mrs Butler. What a battle axe she was. We all sat to attention for this one, no throwing of paper or hurling of spit in her lessons, for her we all stood to attention, sitting in fear of the time she was to call us up to the board for the ritual humiliation that was writing the answers, which were (in my case) inevitably going to be wrong. Her effictiveness as a maths teacher aside, the lasting effect she had on me was the memory of her American treats. 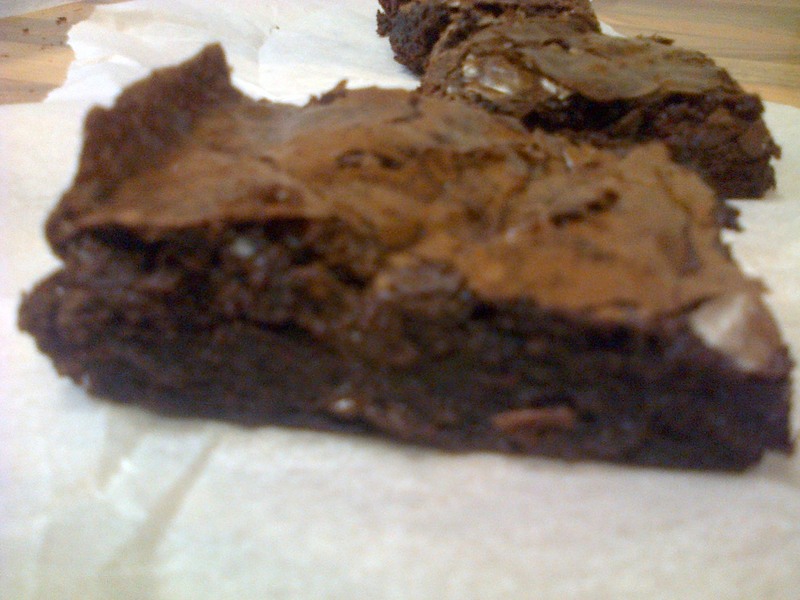 Chocolate brownies were to me an unknown gem, a little taste of gluttonous heaven flown over directly from the states into my humble, deprived lap. In these short snippets of joy, the light was shining down upon my measly brummie soul. Made from the fabric of heaven itself, fudgy, gooey, melt in the mouth indulgent, rich chocolate squares of unadulterated pleasure. Where had these been all my life? As a rule it is safe to say one should use best quality dark chocolate. 70% cocoa solids preferable. Look for chocolate that does not contain vegetable oil (although if and when strapped for cash I do have to admit to using Tesco’s no frills 30p dark chocolate and getting good results). 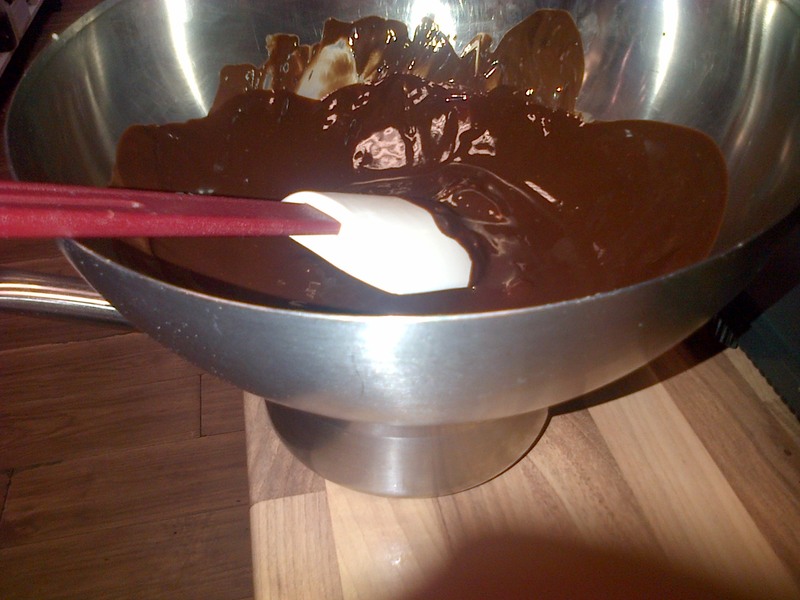 Put dark chocolate and butter into bowl (big enough to fit over top of saucepan without touching the bottom). Fill saucepan quater full with water and put over low heat until reaches a simmer. Place bowl over pan and stir until melted (make sure the bowl does not touch the water in the pan). Turn oven to 160 (fan), 180 (conventional). Line 20cm square tin. Sift flour and cocoa butter into bowl. Break eggs into bowl. Add Golden Caster Sugar. Whisk until light and creamy (I recommend an electric whisk, although if alike me one is not to hand the resulting dead arm is worth the end result). It should be double it’s original size and should leave a trail for a few seconds when the whisk is wiggled. 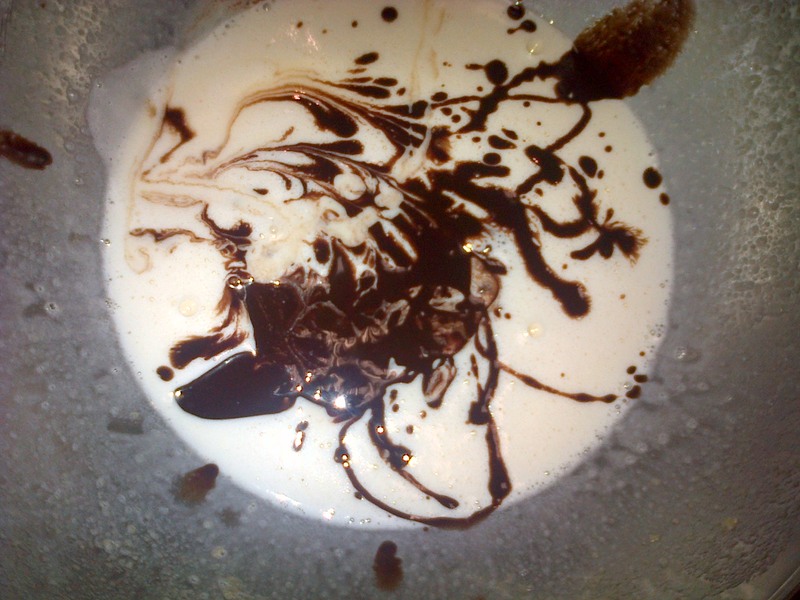 Pour cooled chocolate over egg mixture. Fold (carefully) with spatula using figure of 8, plunging in at one side, taking it underneath, bring up at opposite side and again at the middle. Move bowl round after each folding. This part is crucial so as not to knock the air out that you spent all that blood sweat and tears to incorporate!! Sift already sifted dry ingredients mix into wet ingredients. Fold carefully to incorporate. Carefully add chopped white/milk chocolate. Bake for 20 mins. Cool in tin then foist out carefully trying best not to crack perfect shiny top bit. Please note it is always better to under cook brownies than over cook, when removing from the oven they will still have a slight wobble, this is a good sign. They should still be shiny and crisp at the top.